Great music, delicious food and no shortage of beautiful weather. What more could a drum corps fan want? Saturday's second-annual SoundSport International Music and Food Festival set the bar high for all of the festivities that surround the final day of the 2017 DCI season, with Pan Am Plaza taking center stage for more than 20 performance ensembles and several of Indianapolis' gourmet food trucks. According to SoundSport events and promotions manager Eric Hjellming, this year's edition of the now five-year-old event was another great continuation of the lively and entertaining annual festival. 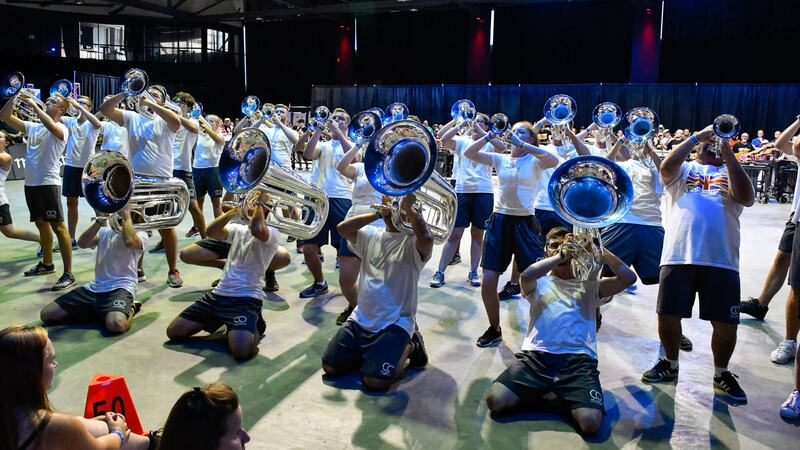 With the sun being out this year — as opposed to the rain that affected 2016's event — the streets of Indianapolis came to life with drum corps fans and performers of all ages. The sunshine also allowed for an interactive drum circle, presented by Remo Percussion, to bring fans together in the heart of Georgia Street. 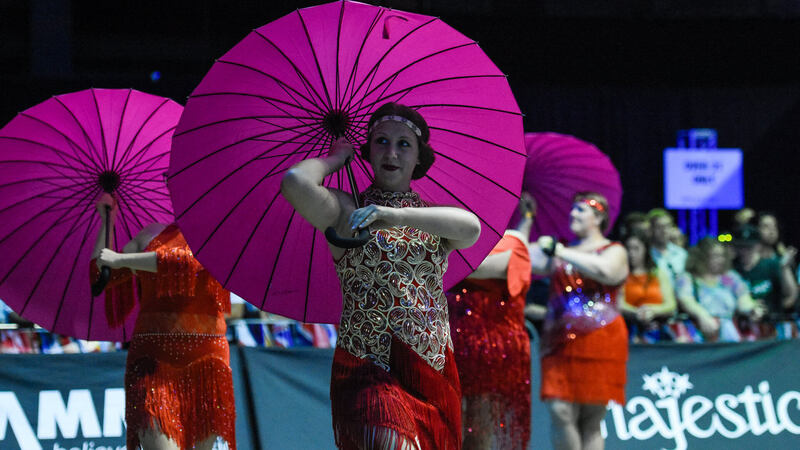 In the Pan Am Pavilion in particular, a wide range of SoundSport teams performed for a packed audience, with an exciting, colorfully-lit indoor atmosphere adding to the energy of their performances. 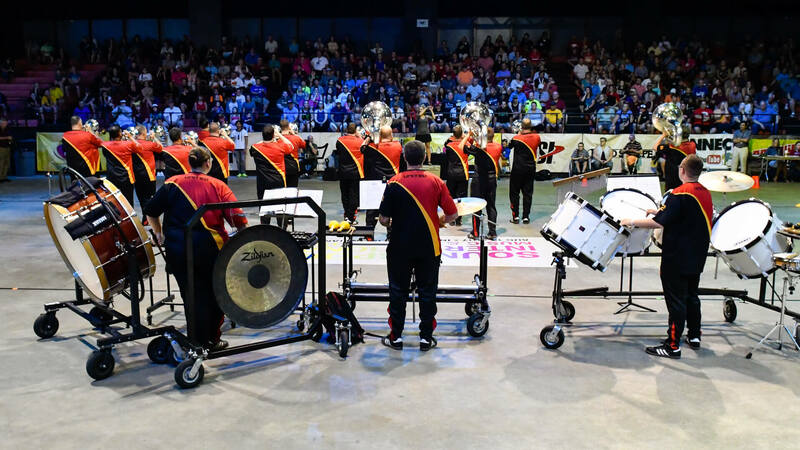 Several performing ensembles certainly represented the international portion of the SoundSport event well, with the likes of 2014's “Best of Show” winner Medellin Gran Banda (Colombia), The Diplomats (Canada), Les Titans de Quebec (Canada), and THE COMPANY (United Kingdom) adding another layer of entertainment with their own countries' musical flair. For THE COMPANY, in particular — which earned the day's “Best of Show” honors with a gold rating — Saturday's SoundSport performance marked the end of an immensely enjoyable road through the eastern United States as part of the 2017 DCI Tour. A few groups, such as Star United, Rhythm in BLUE and MadBrass, have affiliations with DCI corps, with the Santa Clara Vanguard Alumni also taking the stage in exhibition to close the event. 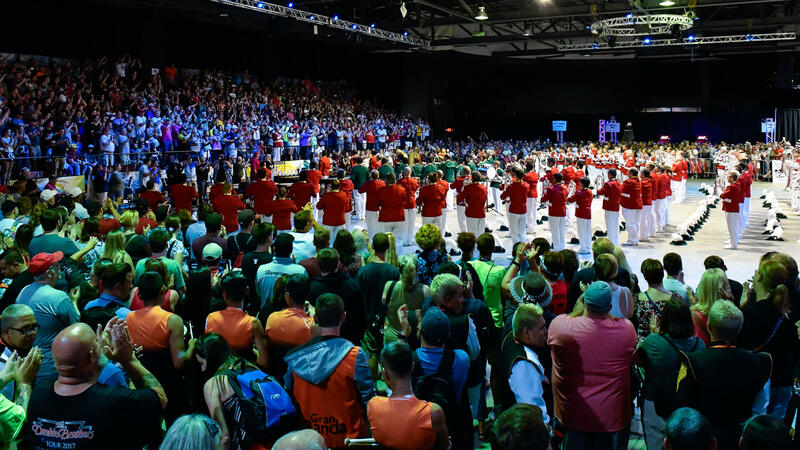 For Star United drum major Vicky Mungle, bringing together alumni of Star of Indiana — as well as a few other DCI corps — for another year of SoundSport competition was quite the meaningful homecoming. Star United earned a gold rating for its performance. The defending DCI World Champion Bluecoats were also represented by their alumni under the heading of Rhythm in BLUE, which earned a gold rating. In addition to the SoundSport event, the performance in downtown Indianapolis also allowed members of Rhythm in BLUE to support the Bluecoats at Saturday night's Finals competition.